H2O Direct are delighted to announce an addition to the IEN family. As well as a fixed 30% bypass, H2O can now offer a NEW variable bypass system enabling users to choose the level they require ranging from 0 to 70%. Water in different parts of the country varies in the amount of dissolved mineral ions it contains. This determines whether it is hard or soft water. There are advantages and disadvantages to each, but the damage that can be caused to hot drinks machines and appliances by hard water means that water may need to be filtered to different degrees. The benefit of this filter is to allow the user to alter the blending of the water through the filter, where the existing hardness or ph. level needs to be changed. 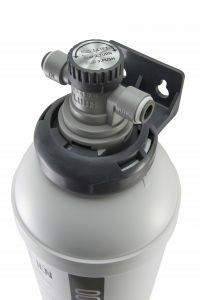 This variable bypass guarantees you an optimum water quality for every application. 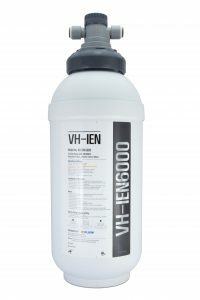 The NEW VH-IEN 6000 will be available from May 2019 but pre –orders are now being taken and the new system can be viewed on the H2O Direct stand at Vendex Midlands. I had high expectations of our first Vendex… and they were met. Great venue, great attendees and overall a great experience.